HEAL massages are done by licensed massage therapists with a nurturing, deeply relaxing and highly skilled touch. Healing massage with a very individualized, therapeutic approach to each of your sessions to help provide faster recovery between workouts, enhance performance and reduce aches, pains and stress. Feel your tension melt away while you are gently guided to focus your attention on the present moment experience of the musculature. This expanded mind-body awareness invites the muscles to fully relax and become optimally receptive to the therapeutic benefits being received. Over time, muscular tension patterns release as the mind becomes keenly aware of them and is able to self-correct, even when off the massage table. Taking the time for Therapeutic Mindful Massage can increase focus & mental clarity and ultimately make us more productive with less stress. Several modalities will be used based upon your needs unless one in particular is requested. This massage is for every body! MLD is most popularly known for its use by celebrities for weight loss but it’s also highly effective in treating post-cosmetic surgery swelling, bruising and scarring. MLD significantly reduces recovery time and gets clients back out in to the world faster! MLD is also known to be effective in treating Acne, Aggression, Alopecia, Allergies, Alzheimer’s, Anorexia, Anti-Aging, Anxiety, Autism, Bed Wetting, Bell’s Palsy, Bulimia, Burns, Cerebral Palsy, Cellulite, Cognition (learning), Cystic Breasts, Cystic Fibrosis, Depression, Diabetic Neuropathy, Ear Infections, Eczema, Edema, Fibromyalgia, GERD, Glaucoma, Headaches, Immunity, Lyme Disease, Migraines, Multiple Sclerosis, PMS and Parkinson’s Disease. MLD uses a very light touch making it a great choice for young children or anyone unable to receive the pressure of a typical massage. It is a profoundly relaxing experience. *Some conditions may require a 15-minute add-on for face, head and neck sessions to be effective. 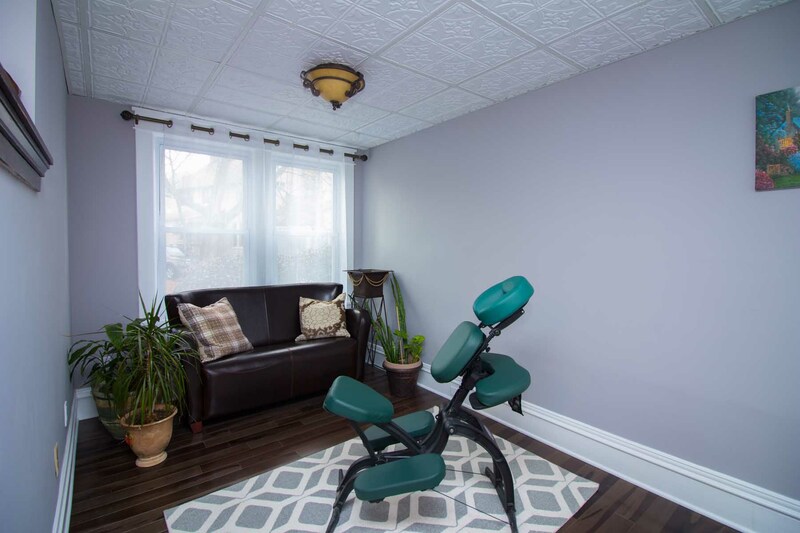 Address specific painful muscular conditions and post-physical therapy sports injuries while holding a deeply relaxing, safe space for you to let go and de-stress. The protocol and modalities used will be chosen based upon the presented condition and customized to your individual needs. Pain level numbers will be evaluated and recorded before and after each session. Exercise recommendations may be suggested based on findings. Thai Massage is an ancient form of massage that uses passive stretching and gentle pressure along the body’s energy lines to increase flexibility, relieve muscle and joint tension and balance the body’s energy systems. Thai massage is done fully clothed. Shiatsu, Trigger Point, Myofacial Release, Cupping and other modalities are used. A typical massage combines several modalities based on the specific needs of an individual client. Warm and soothing ‘Eco-Fin Hands’ treatment with massage offers all of the moisturizing benefits of paraffin in an environmentally friendly and deeply healing product. 100% natural Shea butter and essential oils. Choice of ‘Happy’ (raspberry/grapefruit blend) or ‘Escape’ (peppermint essence) fragrances. Warm and soothing ‘Eco-Fin Feet’ treatment with massage offers all of the moisturizing benefits of paraffin in an environmentally friendly and deeply healing product. 100% natural Shea butter and essential oils. 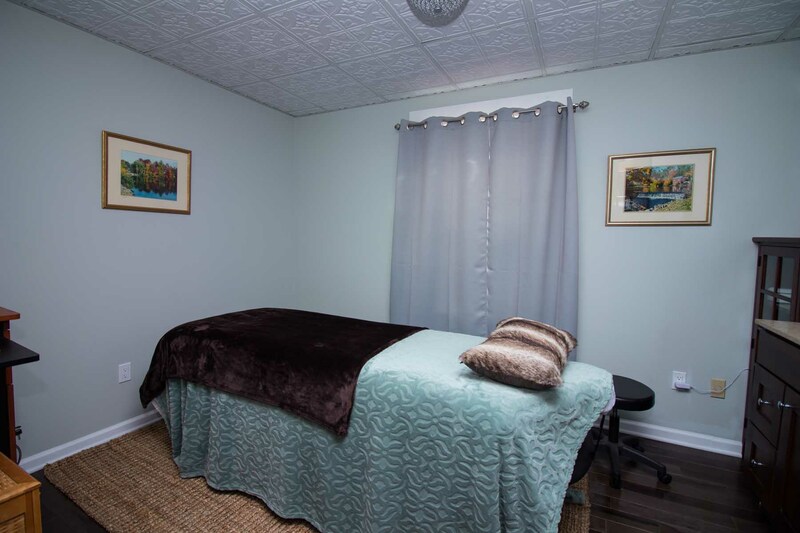 Click here to schedule a Theraputic Massage, or call us directly at 973-837-8376. *Aromatherapy may be added to any service upon request.